Money can be one of the biggest stressors in a man’s life. Not only does it impact stability, it can cause tension in romantic and work relationships. 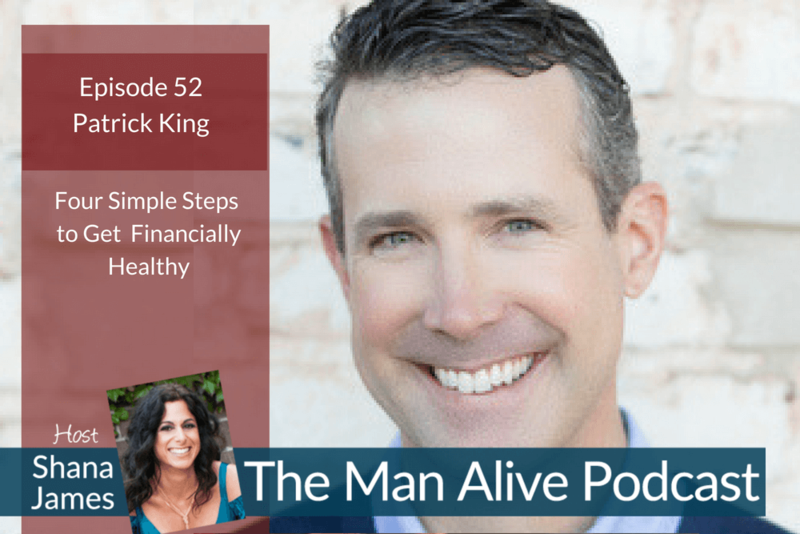 Patrick gives a clear path to getting financially healthy! Over the next decade, he worked at two of the Southeast’s most prestigious fee-only wealth management firms and helped CEOs and executives from some of the world’s largest companies, hall-of-famers and all-star athletes, Grammy winning artists – and dozens of other folks from all walks of life – with the most intimate details of their financial lives. Since then he helps people find financial security, learn the secrets of investing reserved for the ultra-affluent and make progress toward building the life they want. He built a firm for people like us, as an alternative to the big-box brokerage houses and boutique firms that cater to the ultra-wealthy. He wants to actually listen to you instead of reducing your life into generic financial goals in a computer program. There’s no shame around money here. There’s no talk about where you “should” be at any give age or stage of your life. If you’re looking for help from an experienced financial adviser who has been in your shoes, you’re in the right place. If you’re looking for a financial adviser who has never earned a commission for selling financial products to clients, you’re in the right place. If you’re looking for someone who cares enough to work with you no matter how much you have in assets, you’re in the right place. Join Patrick to start building a solid financial foundation. To get Patrick’s easy to follow process for getting your financial life in order (plus other podcast bonuses and outtakes) enter your name and email at shanajamescoaching.com and you’ll be sent a link and password.